Ultramarines, a CG movie in development at Codex Pictures featuring Games Workshops eternally popular blue armoured servants of the Emperor, now has a writer and a director. Martyn Pick, director of the film Age of Stupid, will be helming this epic undertaking. 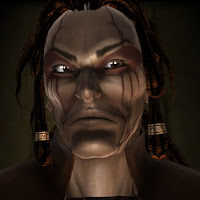 But it is the writer of this upcoming film that will knock the socks off regular readers of Warhammer 40,000 fiction. The movie will be written by none other than Dan Abnett, author of some of the best of the current crop of Warhammer titles, including working on the Horus Heresy, Malus Darkblade, and writing the hugely popular Gaunt's Ghosts series! I must admit to having had a certain amount doubt as to how this film would be handled, but my fellow readers will surely agree that this movie could be placed in no better hands. While Dan Abnett is most often praised for his ability to capture the unique warfare of the grim future, it is the humour and warmth he instills in his characters that makes one really feel the rocket propelled bolter rounds fly past. If anyone can make 8 foot tall armour plated walking death into real human characters that the audience truly feels for, its Dan Abnett. 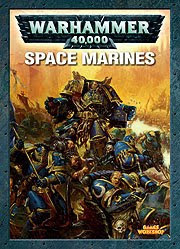 Keep up to date, and follow movie related news at the Ultramarines - A Warhammer 40,000 Movie website. Image courtesy of Games Workshop via Wikipedia, used under fair use.